A beautiful and unique early learning book for little ones which names colours, patterns, animals and objects. 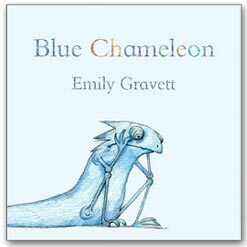 Blue Chameleon is a wizz at imitating shapes and colours. 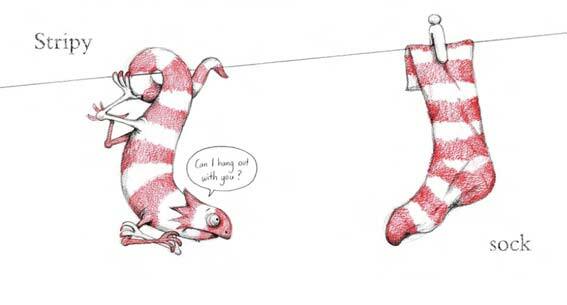 In his effort to find a friend he attempts to ‘fit in’ by changing himself to match the creatures and objects he meets. Strangely there is not an inkling of friendship from the banana or the sock. Grasshopper is frightened and Cockatoo seems dismissive. This delightful little book will definitely get a giggle whilst stimulating children’s imaginations. More subtly Chameleon’s emotions are also linked to his efforts. 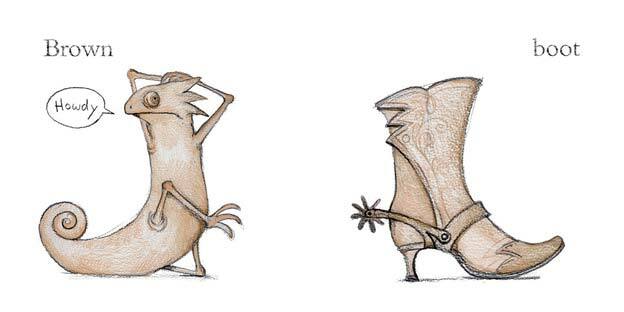 Each double page spread features a large expressive sketch of Chameleon, cleverly drawn to mimic the creature or object on the opposite page. Each image is represented by one large clear word. Brown – Boot’ reveals his hilarious effort to mirror a spurred cowboy boot! This is no ordinary Chameleon! As each successive attempt fails he slowly gives up hope. As is often the way when we let go of our striving something surprising happens. Someone perfect finds him…Wahooo! It’s another Chameleon! 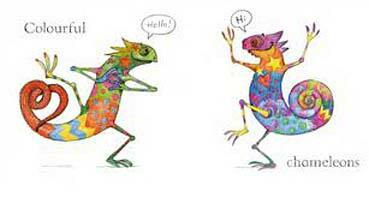 ‘Colourful – Chameleons’ bursting with colours, shapes and joy! An excellent, witty little early learning story. Publication Date: 1 April 2011. Publication Date: July 18, 2011.